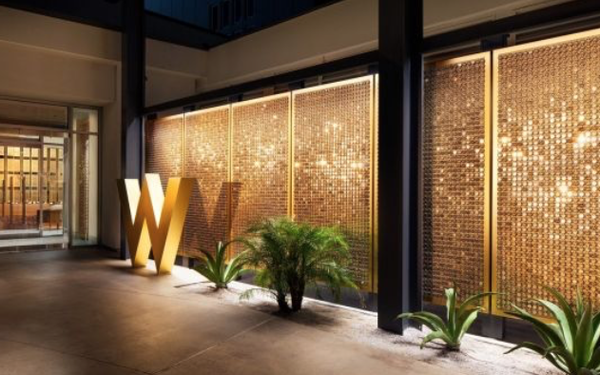 W Hotels and Billboard are once again collaborating on a promotion focusing on emerging artists. The mutli-facted program, called “Next Up: New Artists, New Music” will be anchored by an intimate concert series beginning in August held at three W hotels in New York, Las Vegas and Santiago, Chile. The series will feature performances by three artists that Billboard has identified as rising talent. Billboard.com and the online platform from W Hotels, The Angle, will also host a series of video and branded content surrounding each act. Last year’s inaugural concert series brought music fans across the country closer to artists that have strong voices and fresh perspectives, says Julian Holguin, Billboard’s SVP of brand partnerships, in a release. The partnership is a good fit for W Hotels because of its passion for music, adds Anthony Ingham, global brand leader, W Hotels Worldwide. "W has a long history of welcoming artists into our hotels, be it for live performances like these or at our new W Sound Suites where they can record on the road,” Ingham says. The first official Next Up concert will feature a performance by rising Swedish artist LÉON at W New York in Manhattan on Aug. 7, followed by events in Las Vegas in September, and in Santiago, Chile sometime in the fall, date to be determined. The concerts will be open to W guests, members of the Starwood Preferred Guest and Marriott Rewards programs and select fans sourced through a sweepstakes. After each event, Billboard will share exclusive video content of the performance, artist interviews, and other behind-the-scenes content that will live on Billboard.com and The Angle. The 2016 concert series featured performances by Gryffin at W Washington D.C., Gallant at W Los Angeles, Skizzy Mars at W Minneapolis and Bebe Rexha at W Seattle.